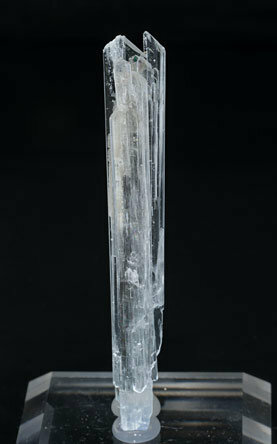 Very Sharp colorless, very bright and completely clear Hydroboracite crystal, with a perfect definition of its terminal faces and with a very good length for the species. Another good borate from the Kohnstein quarry: a parallel growth of very sharp, lustrous, flattened Hydroboracite crystals which are completely colorless and transparent and have perfect terminations. A novelty at Munich 2012. Irregular aggregate of sharp elongated crystals on matrix. 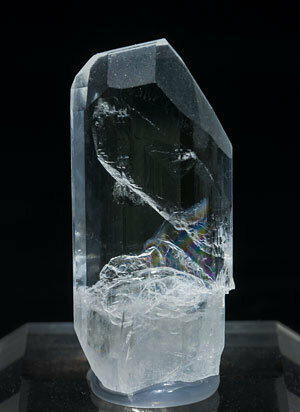 They are colorless, completely clear and have an extraordinary luster. Undoubtedly a sample of the best quality for the species. A novelty at Munich 2012. 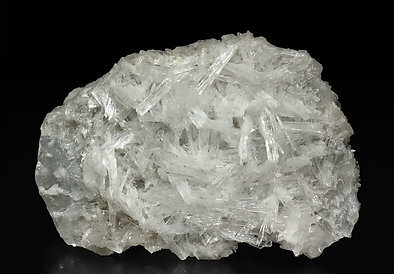 Group of elongated crystals of Hydroboracite on matrix. They are very sharp, completely clear and showing an exceptional luster. No more words are necessary, maybe one of the best samples found for this species. 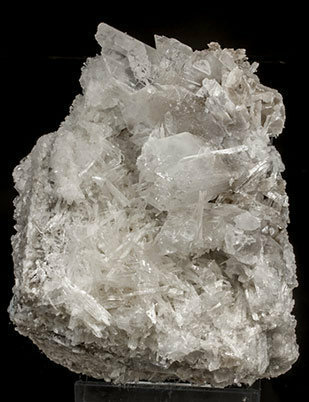 Aggregate of strongly elongated Hydroboracite crystals that are very sharp, colorless, completely clear and have an exceptional luster. 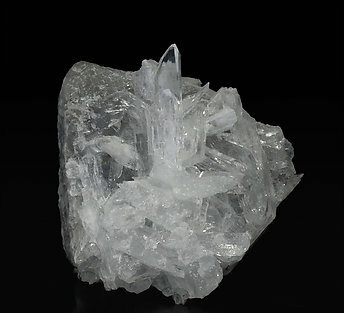 They are on matrix, with transparent Gypsum crystals. Of the best quality for the species.